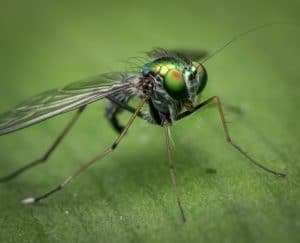 Prevent Mosquitoes – Mosquitoes feed on humans and animals through an appendage called a proboscis, which pierces skin and allows the females of the species to find blood. These pests are not choosy about their victims. They feed on reptiles, amphibians, mammals, fish, and birds. Feeding leaves itchy, annoying bites on the flesh that can cause excessive irritation, infection, and the transfer of disease. Some common illnesses transferred by a mosquito bite include malaria yellow fever, the Zika virus, and Chikungunya. Because of the potential risks, dangers, and all-around irritation of mosquitoes, it should be no surprise that humans have developed numerous methods to prevent mosquitoes. One of the most natural and easiest ways to prevent mosquitoes from lurking is removing sources of standing water. Stagnant moisture is an attractive location for females to lay eggs. Their larvae live in the water until they have developed and prefer shallow pools less than two feet deep. One of the quickest ways to prevent mosquitoes is to ensure that you have few water features that are not treated in some way. There are many chemical additives for pools and ponds that can make the liquid unpleasant to mosquitoes. 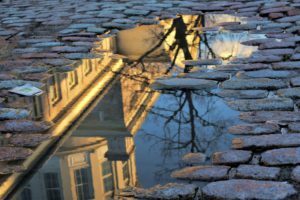 People who are uncomfortable with chemicals can regularly remove organic material such as algae and can only install water features deeper than two feet and with steep sides. The most effective method to keeping mosquitoes out of a property is the installation of a misting system. Misting systems are automated devices which regularly spray low-grade pesticides around a property. They can be installed on fences and will release pesticides during timed intervals or when the owner manually presses a button. The misting systems release chemicals that contain pyrethrins and permethrin. Although effective, these systems can be dangerous. Pets and children who come into contact with the pesticides can be poisoned and face other serious health hazards. The mist will additionally kill other pests in the area, including beneficial ones like spiders and bees. These should be used with caution but are great for preventing mosquitoes. People who dislike using traditional repellents can invest in citronella spray. 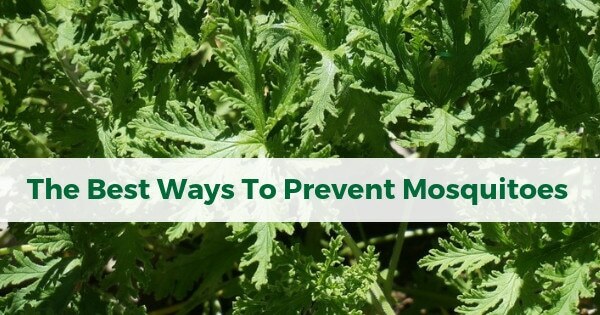 Citronella is a natural ingredient that has been used to fight and prevent mosquitoes since the 20th century, when it was used by the Indian army. Citronella repellent is formulated into a mixture that includes about 5% to 10% of the plant extract. This can be sprayed every two hours without causing skin irritation. It is also possible to purchase citronella candles which can be lit outdoors to protect gatherings. One downside of this method is that while its use can cause a 50% reduction in mosquito bites, it must be reused regularly to maintain protection. Finally, individuals can prevent mosquitoes by using approved insect repellents. These repellents often contain a mixture of ingredients which are unpleasant or toxic to the pests. They can be sprayed on the skin, fabrics, and objects like backpacks to prevent bites. The majority of insect repellents use DEET or citronella oil in their formulation and can be reapplied every four hours. Many insect repellents remain effective after consistent use because mosquitoes have failed to become resistant to the natural ingredients. For people who need to be on the move, these are an effective solution. No one likes mosquito bites. The chances for irritation and disease are too high and cause many to worry about the flying menaces whenever they go outdoors. To help combat this pesky pest, it’s important to choose a method which suits an individual’s lifestyle and helps protect a person without endangering them further. These featured solutions can help keep people safe whenever they want to go outside.